Our canvas canopy is one of our most multi purpose products. 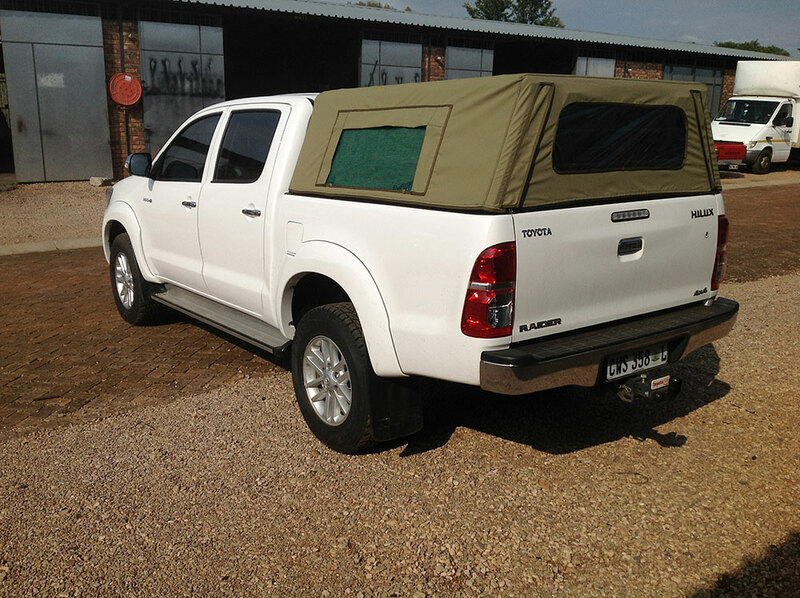 Rather than just creating a non structural frame to support the canvas cover we have created a canopy that offers the advantages of the traditional canvas canopy, the cattle rail frames and the hunting frames. 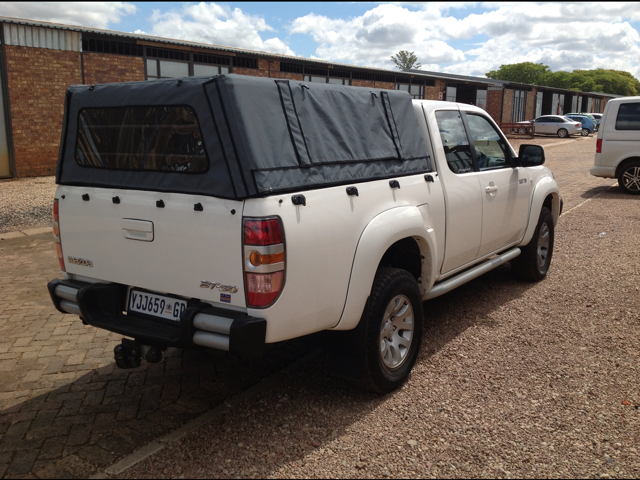 When the high quality rip stop canvas cover is in place you have an aesthetically pleasing cost effective, lockable and weather proof canopy. 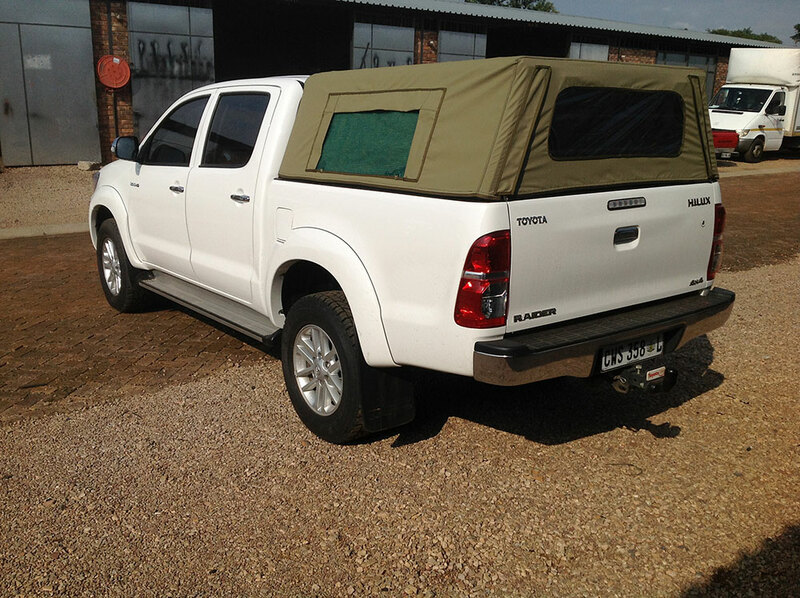 If you remove the cover you have a fully powder coated frame in place that not only looks great on the bakkie but is more than strong enough to carry a considerable weight on top. 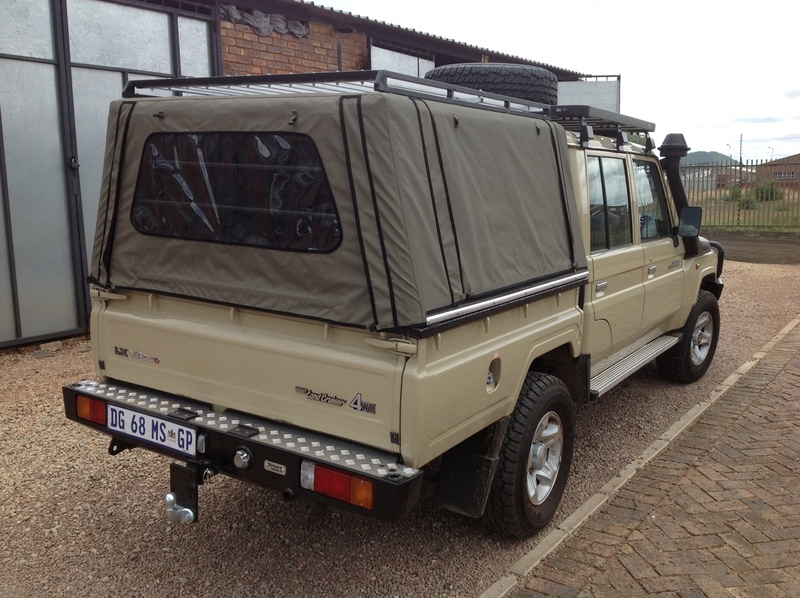 Another great feature on our frame is that it has a removable roof frame. 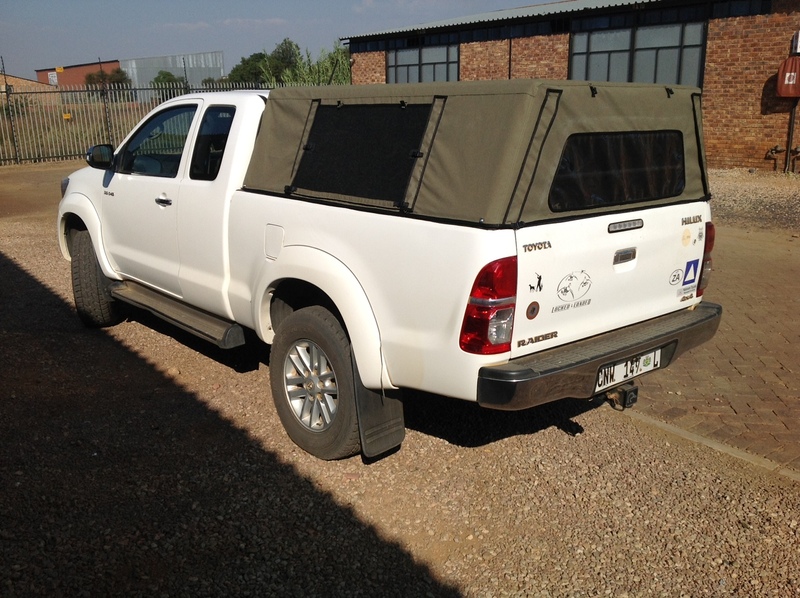 The reason for this feature is so that you can stand up in the bakkie should you be using the frame for hunting etc. 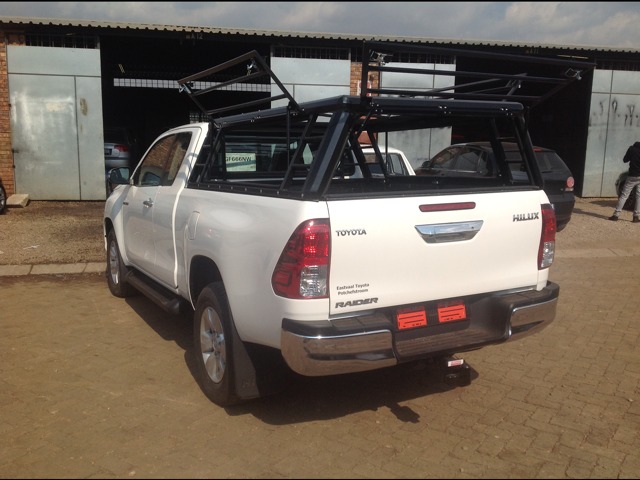 This feature is also useful for when loading high objects in the bakkie that will not otherwise fit inside the canopy.